There's so much in store to adore when you plan a day with the Shopkins Shoppies! Bagging a bargain, CafAAAAAAAA catch-ups or lunch and a movie, you just can't lose whatever you choose! Bagging a bargain, CafA catch-ups or lunch and a movie, you just can't lose whatever you choose! Safety Warnings: CHOKING HAZARD - Small parts. Not for children under 3 yrs.There's so much in store to adore when you plan a day with the ShopkinsShoppies! Bagging a bargain, catch-ups or lunch and a movie, you just can'tlose whatever you choose! The cutest, most-collectible characters from yourfavorite shops! There are adorable fruits, sweets, dairy and more! Grab yourshopping cart, and start - because once you shop, you can't stop! 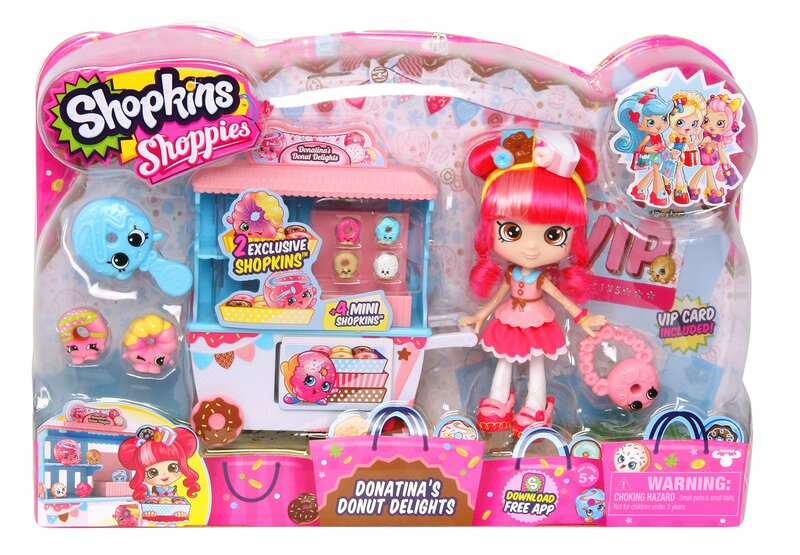 Be sure tovisit our Shopkins Brand Store for more information and products.